How are you with leftovers? I can be so bad with leftover food! Some of them I do not know why I keep, but sometimes it makes something very delicious. That is what happened today, I had a couple of things in my fridges that I needed to use before it went bad. So I whipped up this leftover stir fry with mushrooms. So in my fridges I had a mix of wild rice and barley. Chestnut mushrooms and rucola. This is the easiest thing ever. 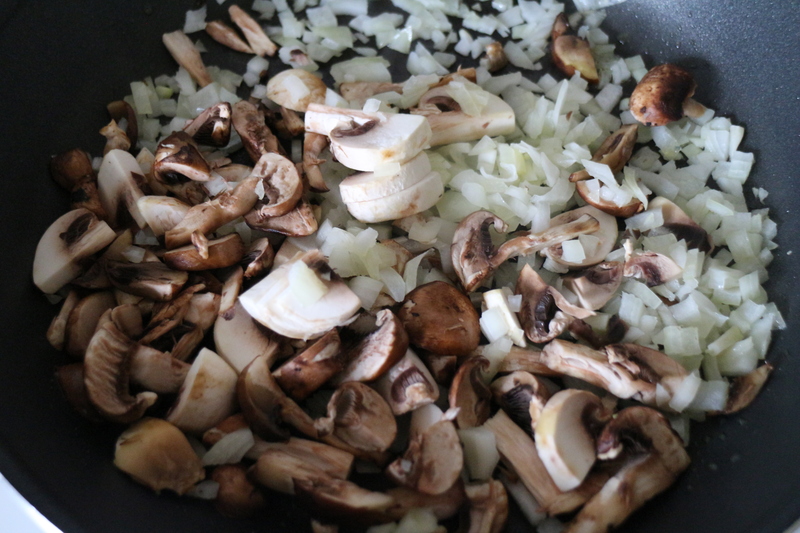 Cut down your mushrooms, onion and garlic. Add the vegetables to a hot skillet with a drizzle of olive oil. Stir frequently until the onion is translucent then add the tamari sauce and rice barley mix. Season with black pepper. 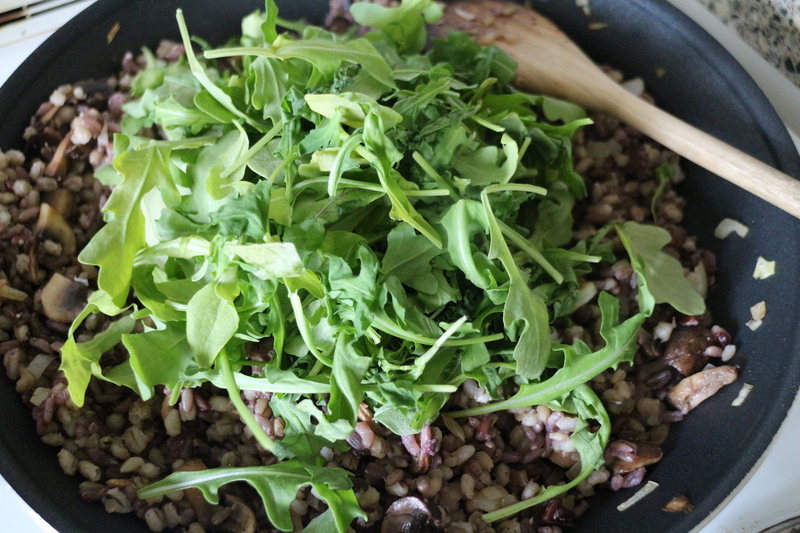 When everything is hot and ready to eat, add your rucola and drizzle a bit more oil on top I used Chilly oil for a bit more flavour. You could also use garlic oil. This took me just 10 minutes and I even made a bit more than I could eat for lunch so I can eat this again for dinner. 3 cups of leftover rice or barley or even quinoa. 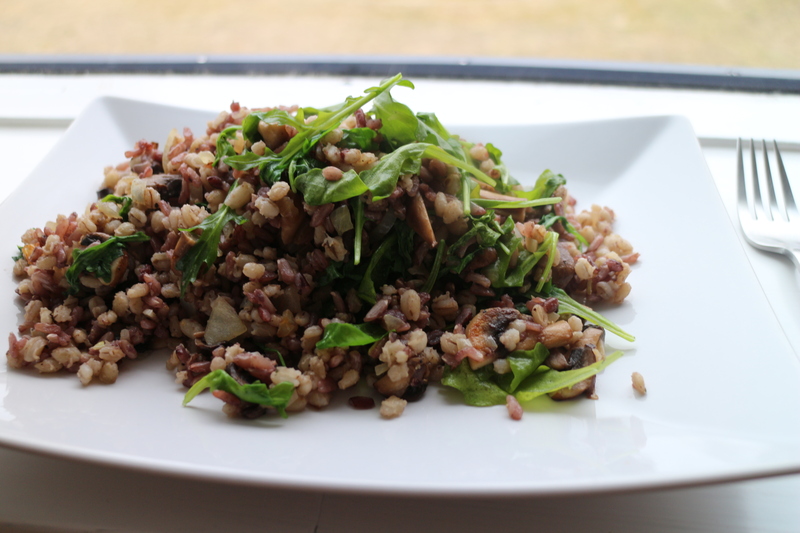 If you love mushrooms like I do, I hope you try this recipe next time you have leftover rice. I love to do leftover stir frys also, it’s a great use for leftovers at the end of the week. 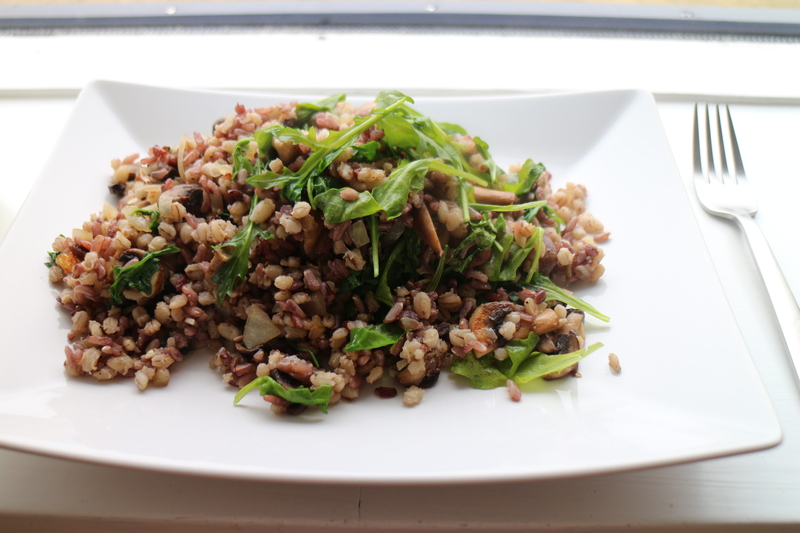 I had little bits of veggies leftover like mushrooms, asparagus, and zucchini so I made a Barley Spring Salad! Leftovers are good at the end of the week.